Charles J. Sykes is one of the most influential conservatives in Wisconsin. Until he stepped down in December after 23 years, Sykes was one of the state’s top-rated and most influential talk show hosts. He is currently an MSNBC contributor. Sykes is also author of eight books, including A Nation of Victims, Dumbing Down Our Kids, Profscam, The Hollow Men, The End of Privacy, 50 Rules Kids Won't Learn in School, A Nation of Moochers, and Fail U. The False Promise of Higher Education. He was co-editor of the National Review College Guide. He is currently working on a book titled “How the Right Lost Its Mind, which will be published by St. Martin’s Press in October 2017. Sykes has written for The New York Times, The Wall Street Journal, Politico, Salon, USA Today, National Review, The Weekly Standard and other national publications. He has appeared on the Today Show, ABC, NBC, Fox News, CNN, PBS, the BBC, and has been profiled on NPR. He has also spoken extensively on university campuses. He lives in Mequon, Wisconsin with his wife and two (soon to be three) dogs. He has three children, and two grandchildren. 'The Eights' series concludes at a look at what divides Americans in 2018 and what 2028 might look like. Charlie Sykes discusses the Libby pardon, Pompeo hearings, Paul Ryan's retirement, and other national news. Charlie Sykes explains why the conservative movement isn't what it used to be. Charlie Sykes, longtime conservative talk host, talks about the ousting of Reince Priebus as White House chief of staff and his replacement John F. Kelly. Charlie Sykes talks about how conservative and right-wing media is 'defending the indefensible' President Donald Trump's actions. Watch Brian's broadcast from The Greene Space, featuring Gorsuch commentary, an Indivsibile Radio roundtable, and a Muslim comedian's story of sitting next to Eric Trump on a plane. The hosts of Indivisible Radio are all together for the first time at The Greene Space covering the latest in politics. Longtime Conservative talk show host, Charlie Sykes, weighs in on the latest news and the potential future of the Conservative movement under the Trump administration. Sykes, a longtime conservative radio host and one of the upcoming hosts of WNYC's new call-in show, Indivisible, discusses the first weekend in Trump's "alternative-factual presidency." Why are we producing 100 days of live radio? Listen to find out. Indivisible premieres on January 23rd from WNYC, MPR and The Economist. 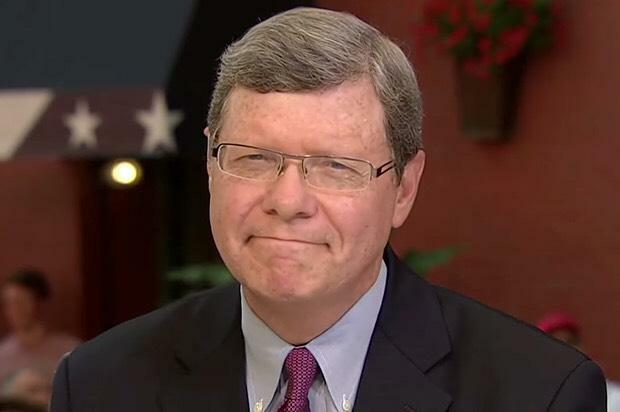 Charlie Sykes has hosted a conservative radio show in Wisconsin for about 25 years. He says Trump has made this year unlike any other. House Speaker Paul Ryan will meet with Donald Trump on Thursday, just days after the presumptive Republican nominee said that he's not interested in unifying his party.